Hi friends… Thanks for joining as at Sunday Features! So grateful you stop by to party with us each week. The big game day will be here soon. Are you ready? 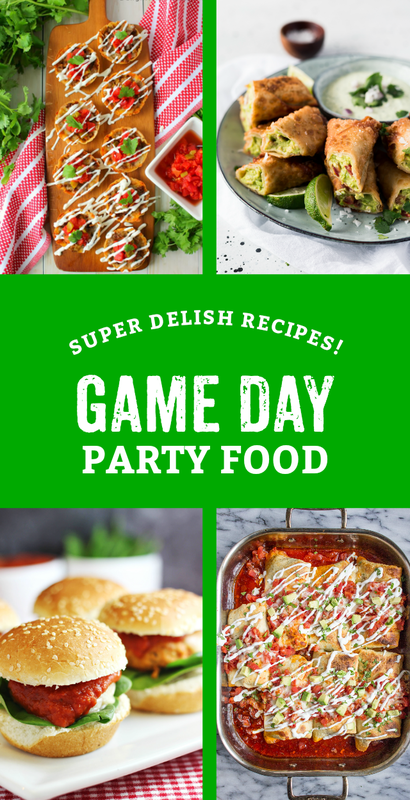 Today we’re featuring some party foods that look seriously mouthwatering! 1. Link up your favorite home decor, DIY, craft, or recipe. No Etsy, online stores, link parties or giveaways. 2. Only link up new content, meaning don’t link up anything you’ve posted on Sunday Features before. But you can link up an older post that hasn’t been linked before. 3. Please visit at least two other links and show them some comment/share/pin love! 4. By linking up to Sunday Features, you give the host(s) the right to feature one of your photos on the hosts’ blogs and to send you email reminders weekly. 5. For brownie points, please link back to your host from the post you link (not your home page) and comment, too! 6. Also, please click on our social media links below and follow us. Comment to let us know so we can follow you as well! And here’s a button to just let people know that you party with us regularly.